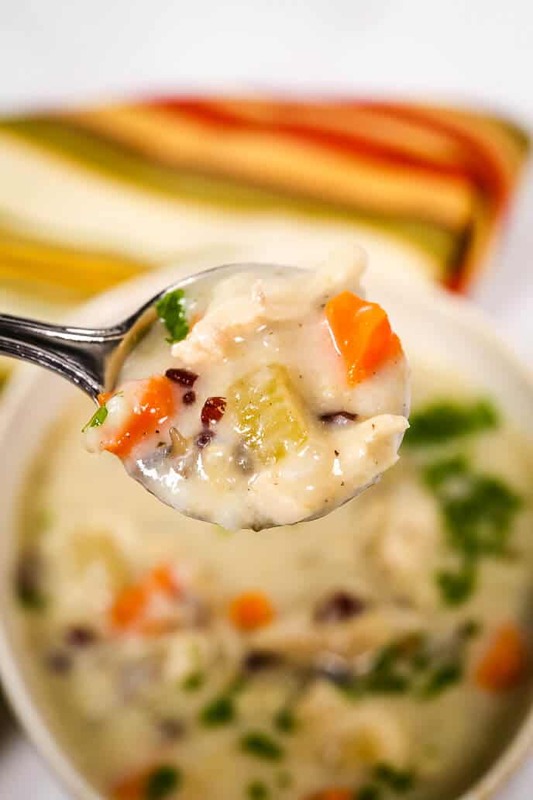 This Slow Cooker Chicken and Wild Rice Soup is a healthy, delicious recipe that comes together fast and tastes amazing. 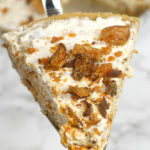 It’s creamy, satisfying and incredibly delicious. After a long hard day, there is nothing better than to have a warm delicious meal waiting for you when you get home. My Slow Cooker Chicken Soup makes the whole house smell amazing and will welcome you as soon as you walk in the door. It is also low-fat and gluten-free. 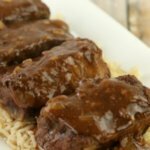 By now we all know how easy having a slow cooker or Instant pot in our lives has made cooking delicious meals so much easier. 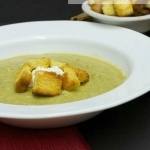 This soup is a perfect meal to serve your family. 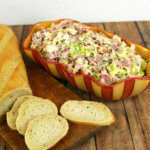 It is one of those meals that your family will love to eat that is nutritious for them too. Step Four: Next, stir in chicken broth, salt, wild rice, Poultry Seasoning Blend and bay leaves. Cover and cook on low for 6-8 hours; add minced garlic during last 30 minutes of cooking. Step Eight: Then season with additional House Seasoning Blend as needed. Pour milk mixture into slow cooker and stir until fully combined. Finally, serve immediately with chopped fresh parsley. 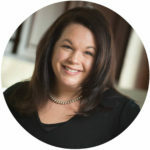 Can You Use Chicken Thighs for Making Slow Cooker Chicken Soup Recipe? Yes! 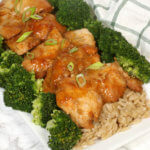 Chicken Thighs will work great in this recipe and Impart a great flavor. 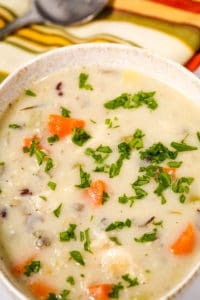 Can I Make this Creamy Chicken and Wild Rice Soup Dairy Free? 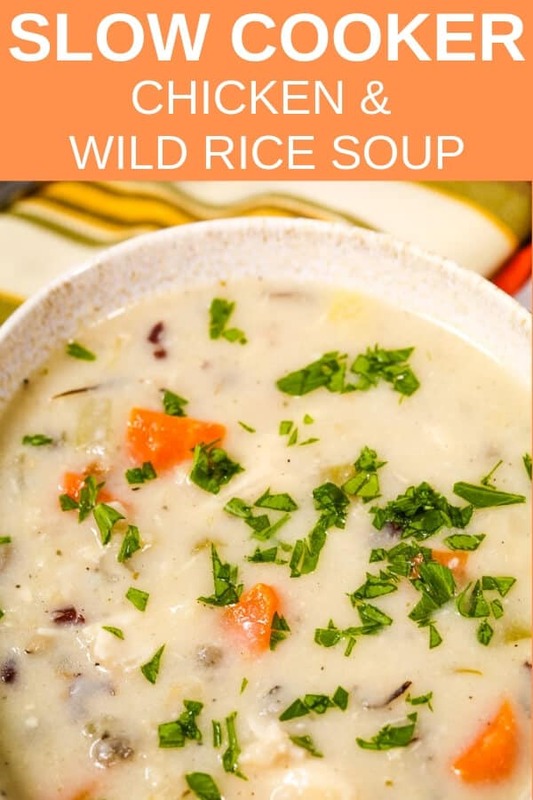 If you require a dairy free option for your Crock Pot Soup, you can adapt my slow cooker chicken and wild rice soup by using chicken stock, or if you long for a creamy consistency try adding any nut or soy milk to the soup. It will work just as well and make a good dairy free option for your family. Just remember to use oil instead of butter. 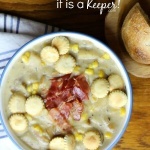 Top with different Flavors: Try topping the soup with another layer of flavor like bacon and scallions. 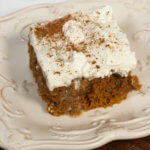 This Recipe Can be Doubled: This is a great recipe for a crowd. Simply increase the ingredients proportionately and freeze some for a super quick meal. Not a fan of Wild Rice: Feel free to add white rice. Looking for more? 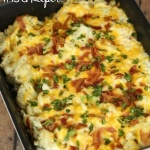 Check out all of the Easy best crock pot recipes on It Is a Keeper. This Slow Cooker Chicken and Wild Rice Soup is a healthy, delicious recipe that comes together fast and tastes amazing. It's creamy, satisfying and incredibly delicious. Season both sides of chicken with House Seasoning Blend. 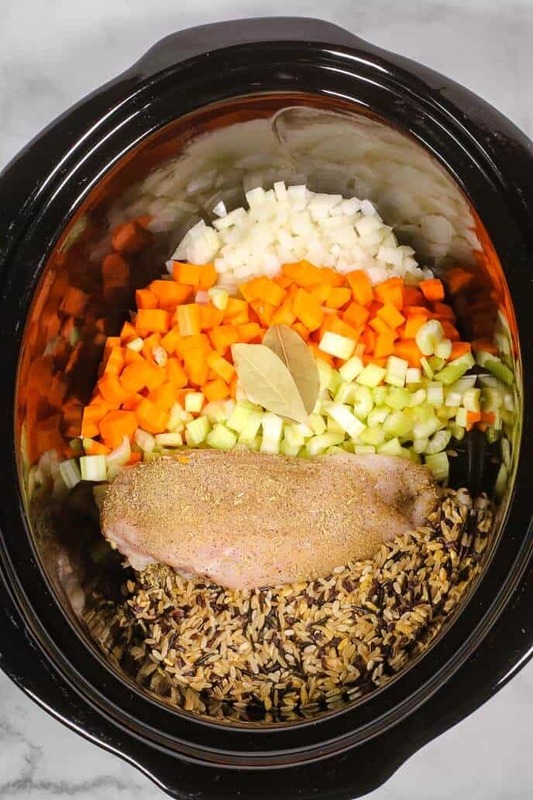 Place chicken into a 6-qt slow cooker and top with onions, carrots and celery. Dissolve chicken bouillon in hot water and pour into slow cooker. Stir in chicken broth, salt, wild rice, Poultry Seasoning Blend and bay leaves. Remove chicken from the slow cooker and use two forks to shred; return to slow cooker. In a saucepan over medium high heat, melt butter. Stir in flour and cook until lightly browned, about 1-2 minutes. Whisk in the milk and half and half and continue stirring until mixture starts to thicken. 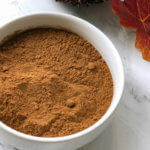 Season with additional House Seasoning Blend as needed. Pour milk mixture into slow cooker and stir until fully combined. Serve immediately with chopped fresh parsley. 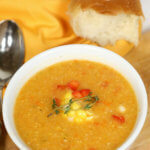 This recipe reminds me of my favorite congee. 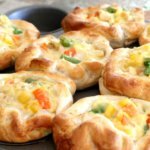 It is full of flavors and very comforting! Now I need to make another batch, but in a slow cooker. 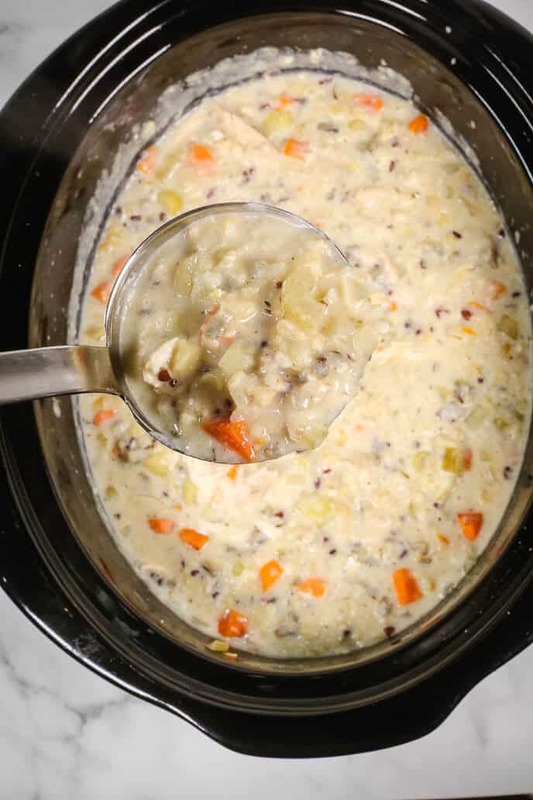 Chicken and wild rice soup is one of my favorites, I don’t know why I’ve never made it in the slow cooker before. Brilliant! LOVED! 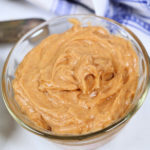 Creamy and easy! It’s my kind of recipe!